About Security supply and fit high quality Heroal German materials powered by superior quality Somfy motors and controls. You are assured of a professional installation by a family business with over 30 years’ experience. We pride ourselves on providing a 5 star service and the best quality products at a reasonable price. Roller garage doors are fully automated so you need never struggle again to open and close your garage door. There is no loss of space inside the garage or on the driveway so you can park right up to the door. The door can be opened manually in the event of a power failure, and battery backup options are available. A courtesy light comes on during operation and turns off automatically by a pre-set timer. Safety is achieved from an optical bottom edge that will stop the door if it strikes an object while closing, when closed this also acts as a burglar alarm sounding if the door is forced open. The doors are manufactured with insulated laths which provide improved insulation and noise reduction. The doors are available in a full range of colours and finishes including various woodgrain profiles. In many cases you can increase the width and height of your garage door opening as no timber subframe is required. The doors can be fitted inside the garage within the opening, or on the outside face of the garage wall. We can advise the best solution according to your requirements. About Security are very aware of the importance of having the correct Public Liability Insurance with a policy in place up to the value of £5,000,000. The ultimate roller garage Door curtain is manufactured from RD75 laths that will typically roll into a box size of 300mm (12 inches) with side guide sizes of typically 95mm wide. More information can be found on Ultimate Garage Doors here. 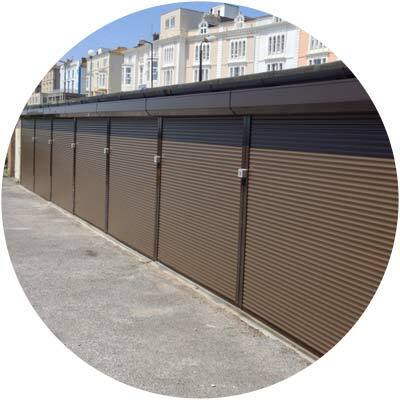 The Compact Roller Garage Door curtain is manufactured from 54/56 laths that will typically roll into a box size as small as 220mm (9 inches) with side guide sizes of typically 69mm wide. More information can be found in Compact Garage Doors. 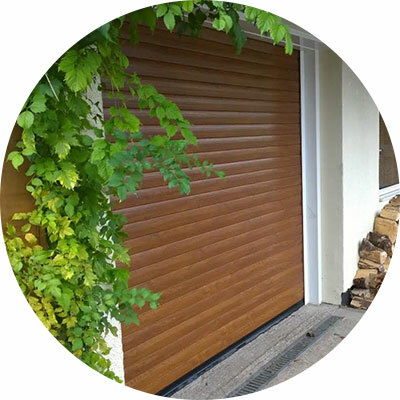 Domestic Roller shutters – We can also manufacture the doors with a very high security curtain using resin and extruded laths for the customer who wants the maximum protection possible but wishes to retain the slim sight lines and neat appearance that the continental system offers. Both our domestic and light commercial aluminium shutters are manufactured from the same German Heroal shutter system components to provide a slimline compact shutter option. 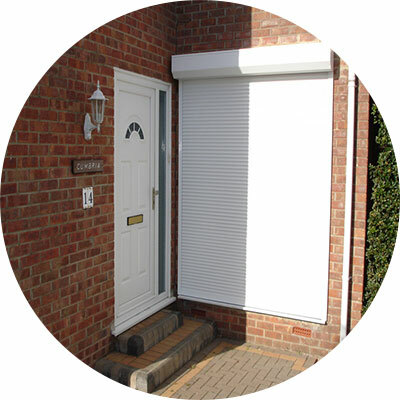 More information can be found in Domestic Roller Shutters.